The Broadway shows in New York City show off some of the many talented people in theater. It is amazing to me how these people can put on a show, 7 days a week, twice a day. They have more energy than most people I know. 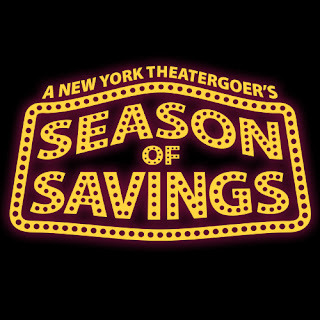 We are all trying to look for some bargains, and I am not one to stand in a line for hours to get discount tickets, so this Season of Savings is a GREAT idea! You can choose the show you would like to see on their website, and receive some nice discounts as well. This way you can be sure it is something you will like. Two great holiday shows are included here, A Christmas Story (so fun) and The Radio City Music Hall Christmas Spectacular. Please read below about some of the information regarding this program, and I hope you can take advantage of these nice deals in the coming months. 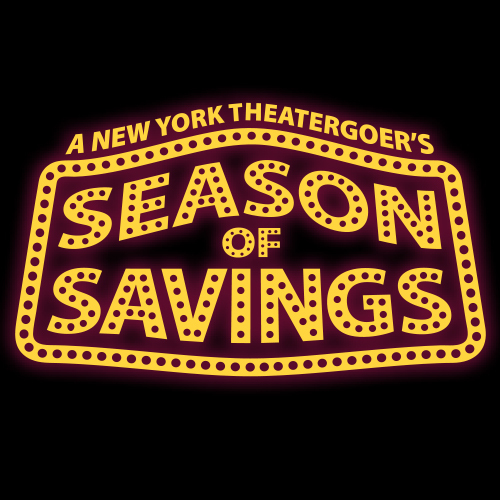 Now in its 11th year, SEASON OF SAVINGS is the unofficial “New York Theatregoer’s Guide to Times Square." It includes a special edition Playbill, published twice per year, that features discount coupons to numerous Broadway and Off-Broadway shows as well as restaurants, hotels and NYC attractions. 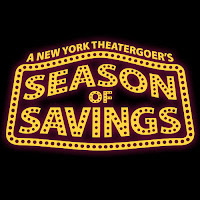 Stay up to date on all the best Broadway deals by subscribing to the SEASON OF SAVINGS mailing list. Visit www.seasonofsavings.com to sign up! this is great for NYC ppl looking to save money! I saw Phantom of the Opera earlier this year! i heard about this. so amazing and what great timing for the people participating in Fashion Week. so much to do in NYC right now.